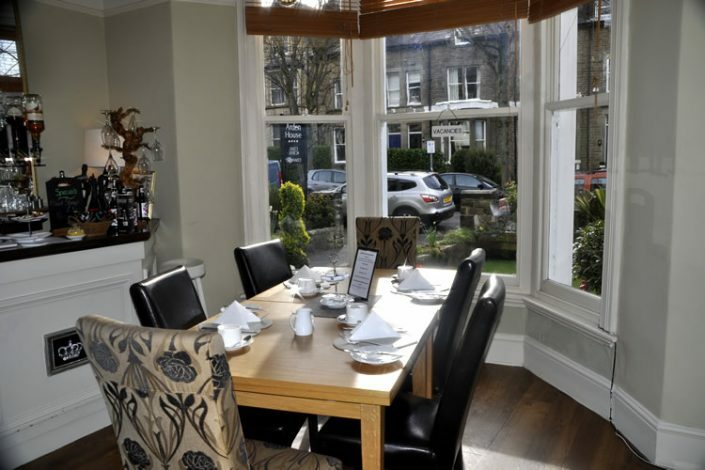 Mark and Jan are avid fans of fine quality, freshly cooked breakfasts of the highest quality. All food is sourced locally wherever possible and great care is taken to find the most appropriate award winning suppliers. 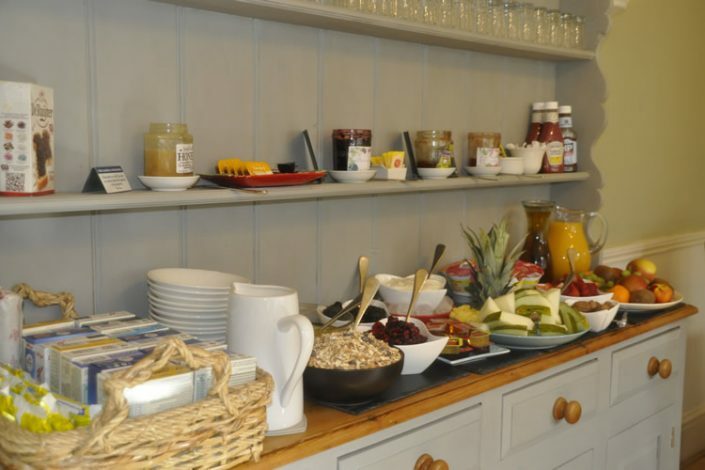 Our aim is to serve a delicious bespoke breakfast that will set you up for the day ahead whether exploring the beautiful town of Harrogate, the local countryside or a busy day’s work. 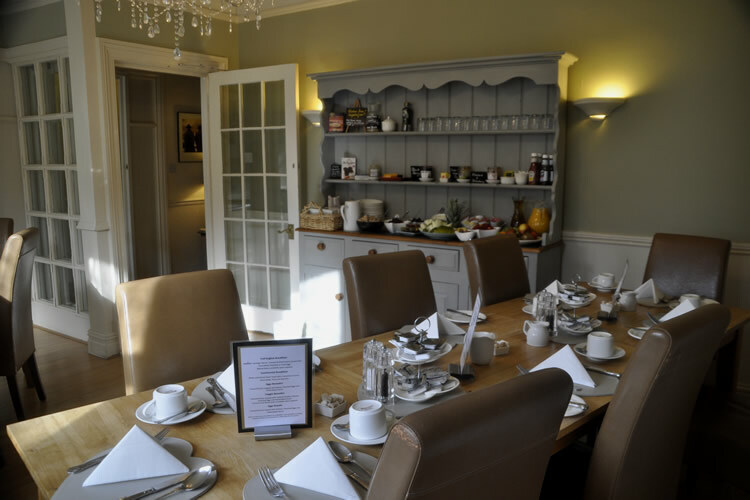 The breakfast room is spacious and tranquil, decorated in simple soothing colours with Vettriano prints and each table has a view over the garden. 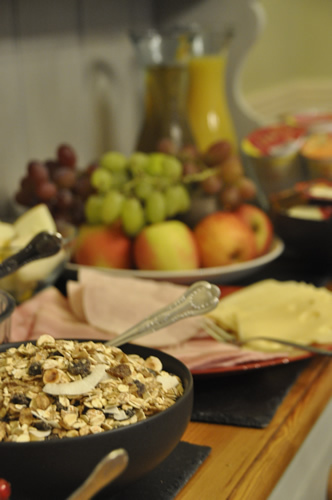 Breakfasts are effectively split into two, the Breakfast Buffet and the Cooked Breakfast. The Breakfast Buffet is very European continental in design, typically including fresh fruit, chilled fruit juices (orange and apple), bircher muesli, prunes, cereals, cheese, crackers, grapefruit, as well as other items that look appealing in the local shops. Seasonal variations do of course occur throughout the year in order to provide the best options. 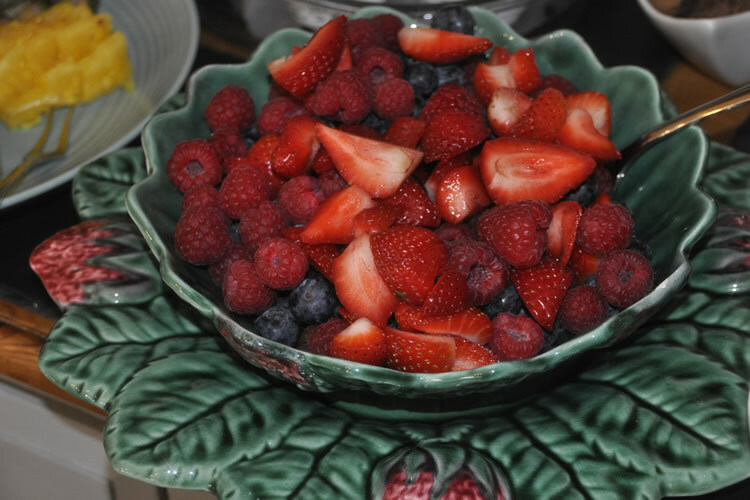 Our Cooked Breakfast menu is extensive and attempts to cater to all tastes, food intolerances and guest preferences. 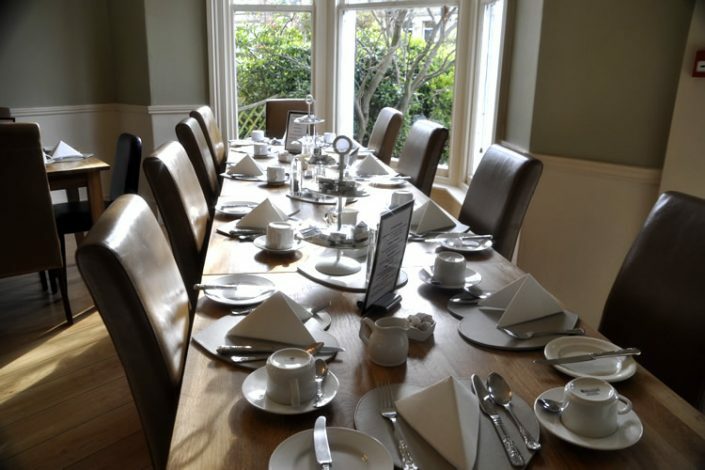 As well as the local produce full English breakfast (made with Masham Sausages and Bacon), other options include Smoked Salmon with Scrambled Egg, Eggs Benedict, Eggs Royale, VeggieBenedict, a whole range ofomelettes, and Grilled Tomato and Mushroom on Toast. We attempt to cater for all dietary requests and preferences, and would always ask guests to talk to us the day before if they require something special. We have a range of gluten free sausages and breads, and can also supply soya milk and coconut milk if we have advance notice. At Arden House we strive to deliver quality in everything we do so we are proud of our Food Hygiene Rating of 5 (the Food Standards Agency’s highest rating = Very Good). Arden House is delighted to have received a golden award from North Yorkshire Healthier Choices, showcasing that we can serve a healthier English Breakfast. At Arden House, we can accommodate a maximum of 26 people, but we can also work with our partner, Harrogate Elite Living, to accommodate a further 14 guests.